Yesterday, I woke up at 6:30 am. I turned the alarm off and thought, 'You have got to be joking.' How does morning come so quickly? 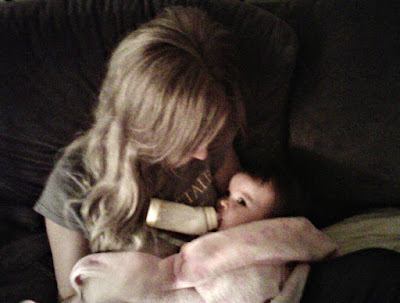 My sweet baby Scarlett didn't sleep much that night. She was up every couple of hours crying. Maybe the start of teething. Maybe an upset belly...or just a growth spurt? But I rocked her and rocked her. I cuddled her. I held her. I enjoyed her tiny limbs wrapped around me. I laid in my bed and kept her with me for a good hour or more. After swim class, I brought her home to give her a snack. 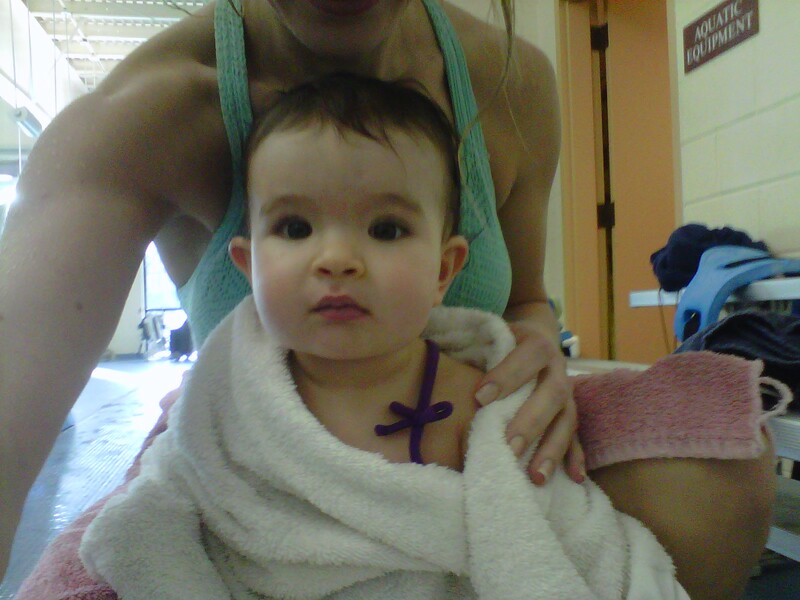 Then I gave her a bath to wash off the chlorine. We played for a little bit before she needed a diaper change and another bottle. She went down for a nap and I finally got to eat for the first time at 2:15 pm. I read about Mommy's who have lost their babies and it breaks my heart into a million pieces. I cannot imagine the sadness....To know that they would have one day become a little person like my Scarlett. It makes all the other "hassles" or hectic moments seem so minuscule. It makes me enjoy the hard times, too. I hope she's doing better. I just love that name, Scarlet. Adorable. I know about those sleepless nights. Now my son is 6 and there are days I wish he was her age again and then I think about those sleepless nights and I am like, umm, no. Why, because its so exciting to see what they will grow into be. And its also fantab when they can get their own cereal and you can sleep a little later on a Saturday. HA! She's beautiful! I hope she gets better soon! ahh... she is so beautiful and seems really happy, despite being sick. Hope she feels better soon and that you can get a little more sleep.